Our removalists rates at Brisbane Removals and Storage are very competitive going from Brisbane to Newcastle and return. 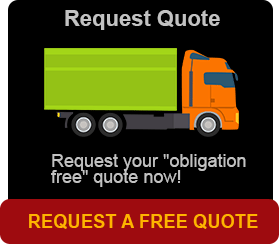 Whether it be a full container shipment or just a backload for a few items, it time to call us and get a free quote. Storage problems are gone and with our new depot at Darra near Brisbane holding over 500 containers. In Newcastle we have a combined storage of over 1000 containers from Newcastle to Port Stephens. We also have trucks now going from Brisbane to Newcastle every week. The small backload starts at $200 and may go up to $600 depending on the weight of the goods. It’s hard to imagine how cheap it can be taking goods from Brisbane to Newcastle. So if you are looking for a furniture removalist in Brisbane to give you a trouble-free, thoroughly professional relocation anywhere and anytime in Australia and beyond, with short and long term storage if needed, there’s one place and it is Brisbane Removals and Storage. No other Queensland removals and storage company in Brisbane combines shipping container storage and removals of any kind, with personalised service that can only come from removalists highly motivated to give complete satisfaction to our customers. At Brisbane Removals and Storage no job is either too big or too small. Whether you’re relocating to a new city or just up the street whether you’re moving a family or a huge office, we have all the answers for you. We specialise in local and country relocations, office relocations, and long and short term storage. The Brisbane Removals and Storage idea is to look after their customers on a personal being it a family company. Now due to expansion we have a greater area than before, and our services now include everything needed to reduce the level of stress to our customers experienced during the move. As well as packing and pre- packing, transporting and storing your goods, we’ll include a $50 starter pack for boxes to get you started. When requesting furniture removalists from Brisbane Removals and Storage, we do a complete assessment and discuss all aspects of your engagement with us. With over 16 years experience we help you in all facets of the move, including boxes for TV’s, paintings and other hard to pack items. We also can supply all the packing materials you’ll need to prepare for the move. When it’s time to relocate, our friendly staff will move you smoothly let swiftly. Our furniture removals and storage services include providing you with insurance, and for overseas moves we can help with customs and export formalities. 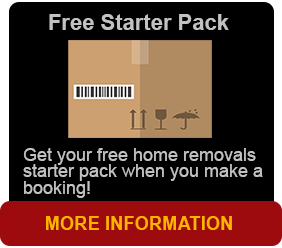 For more information call Brisbane Removals and Storage.